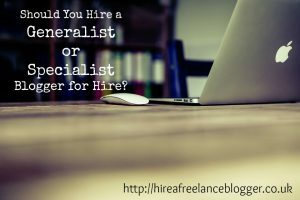 There are two types of bloggers for hire: good and bad freelance bloggers. You need to make sure you get the former. Think any blogger will do? Think again! 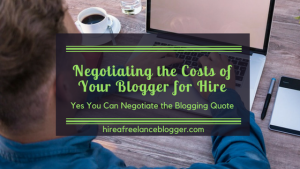 Sure, good bloggers cost more to hire. Quality and experience is always worth paying for. There are a lot of bad bloggers out there, who will do far more damage compared to the benefits they offer. The amount a blogger charges isn’t the only way to tell the different between a good and bad blogger, but that’s not what we’re looking at today. 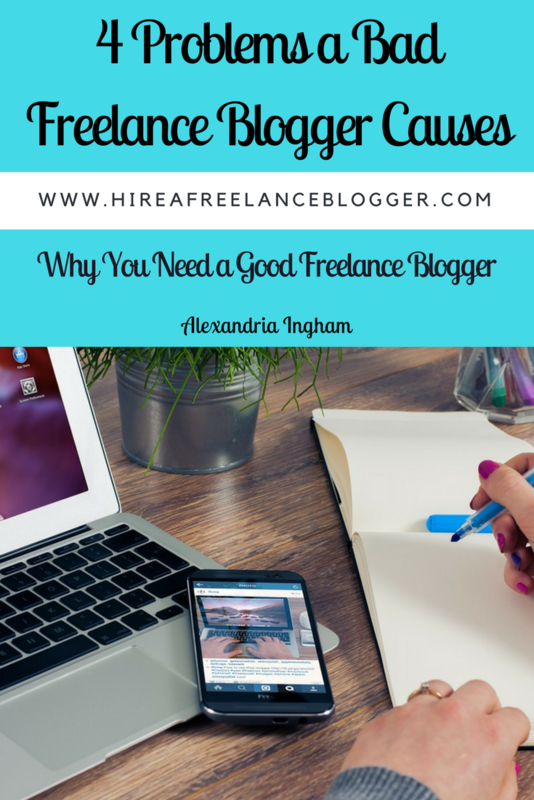 I want to share just why you need to find a good freelance blogger and what a bad one will do to your business. Plagiarism is a major problem online. I can’t tell you the amount of bloggers I’ve seen just copy someone’s work and pass it off as their own. Bad freelance bloggers don’t really care about quality. They want to be paid and move on right away. If that means copying someone’s content and passing it off as their own, then that’s what they’ll do. It’s up to you to make sure the content isn’t plagiarized before you post the content on your site. There is software to do that. The real authors will find out you’ve got their content on your site and you run the risk of being sued–although you may be lucky that you just get a take-down notification. If you do nothing, you’ll be penalized by Google and run the risk of getting your AdSense and any other form of advertising you use removed. Even if the blogger hasn’t plagiarized the content, it’s still a bad thing for your site. 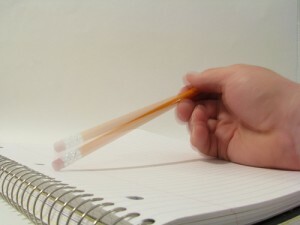 The blog posts will be low in quality and that instantly turns off anyone reading. They’re more likely to hit the back button within seconds, increase your bounce rate, and negatively affect your search rankings. A bad freelance blogger isn’t going to do the research your blog posts require. They won’t understand the nature of your business, and will have no interest in learning more. The aim is just to get your money. On top of that is the bad grammar and spelling. Your content may not even be understandable. You’ve wasted your money on content that you can’t use. Do you really want to turn your readers away? Once they’re gone, you’re not getting them back! 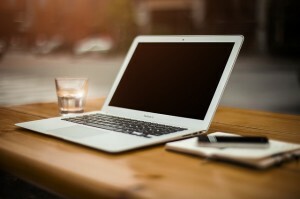 A bad freelance blogger is going to make your business look unprofessional and shabby. Potential customers just won’t have the trust in you to buy your products. They’re not going to invest in services or spend time contacting you for prices. They’ll look at your more professional appearing competitors instead. Bad freelance bloggers are unlikely to give you a refund, even if you deserve it. In many cases, they’re not even going to be in the same country as you, so taking them to court is going to be hard. You’re losing out on finances and profit because of your decision to try to save money on outsourcing. When you’ve finished with a bad blogger, you will still need to get the content written. That means hiring a good writer to repair damage and improve your blog’s ranking. Some of the damage may be irreparable and the other damage will take more time to repair than it did to cause it. But you have to spend more money than you thought you would by hiring a bad freelance blogger first. Do you really want to risk doing potentially irreparable damage to your business? Of course not! But hiring a bad freelance blogger will do that. 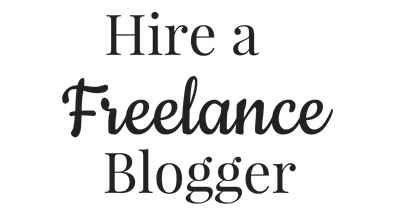 You need to do your research and find the best quality freelance blogger available within your budget. Have you had experience with a bad freelance blogger? Maybe you know others who have had experience. Share your story below. Note: This content was originally published on July 4, 2014. It was updated on June 12, 2017. Negotiating seems like a good idea. I’ve never heard of the concept before. People pay you to blog for them? That’s amazing. I’m surprised at how many people haven’t heard about freelance blogging. But I guess it’s only been recently that so many businesses have heard how good blogging is for their marketing. It is great to be able to do something you love and be paid doing it. I didn’t know about freelance blogging myself but have always enjoyed writing. It was not until recently, when I started my own blog that I realised it is a who new world with different dimensions, happy to have caught on. Thank you so much for the info, am amazed at what I get to learn everyday. You’re welcome, Rachel. It is definitely a whole new world, and it changes so quickly. Google has changed its algorithm so many times since I started blogging and writing just four years ago.